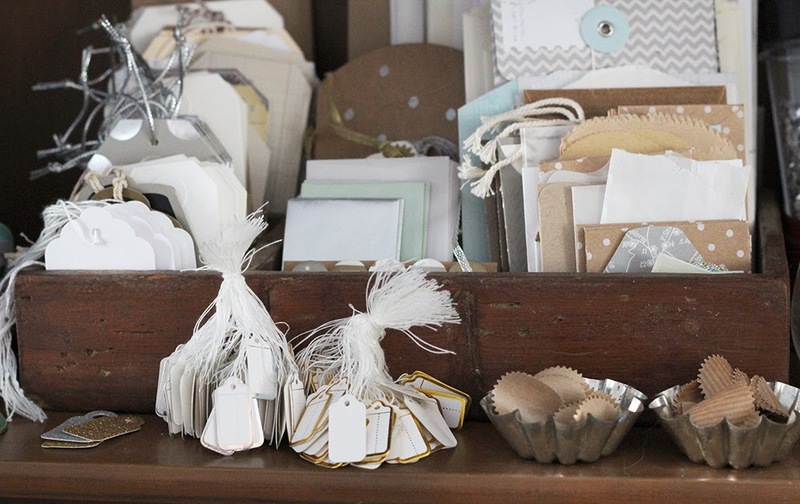 things that shine: around here: organizing and sorting by colour. around here: organizing and sorting by colour. and I'm sure it will evolve and change over the course of the year. 1. Keep out neutral items. I'm considering whites, cream, some kraft, silver and gold as neutrals. 2. Pick a select number of shapes/icons to keep out. Currently, the shapes I have out are houses, stars and feathers. 3. Bring out select colours for projects or different seasons. I can keep my neutral base out to keep lots of basic items handy, and add a bit of colour easily by pulling out a jar of neon pink ribbon and a tray of mint green embellishments, for example. 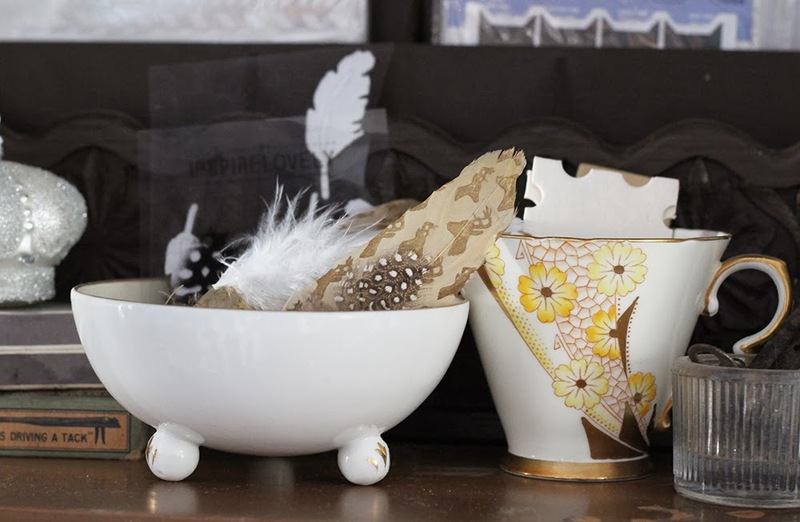 Feathers in a footed tea cup. I have a combination of real feathers, fabric feathers, acetate feathers and wood veneer feathers. The yellow floral tea cup holds some small chipboard shapes I like, and the little salt well has some vintage clock hands in it. 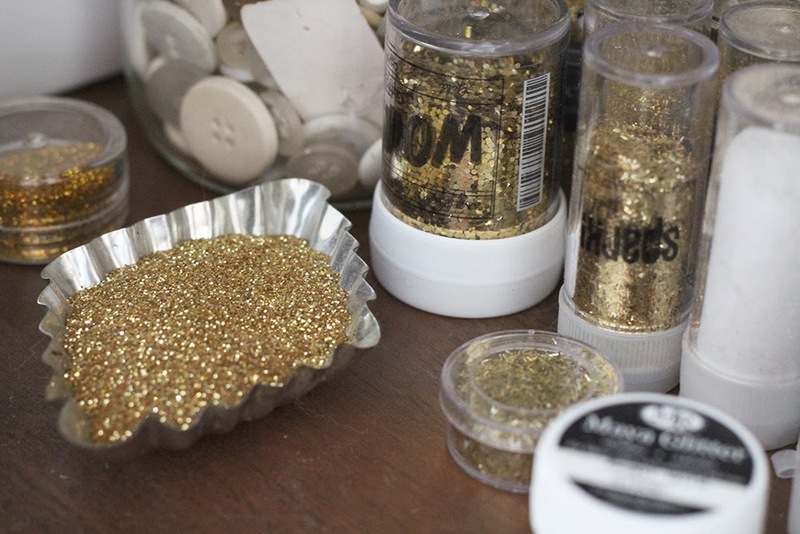 I pulled out my most favourite silver and gold glitters. I put labels in a sewing machine drawer. Some are in the packages and sheets, still. I took apart all of my ephemera and die cut packs, and sorted the pieces by type. I put all of my neutral labels into a small cup, inside the drawer. 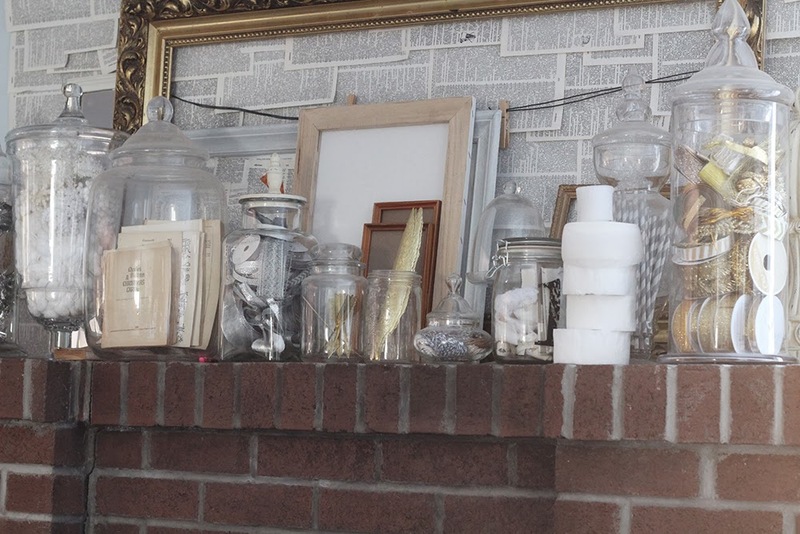 I sorted ribbon, and glitter tapes, by colour into large apothecary jars stored on my fireplace mantel (I really will paint that fireplace white, someday!). I put stars into assorted small containers and stored them all together in a cupboard in my scrapbooking room. 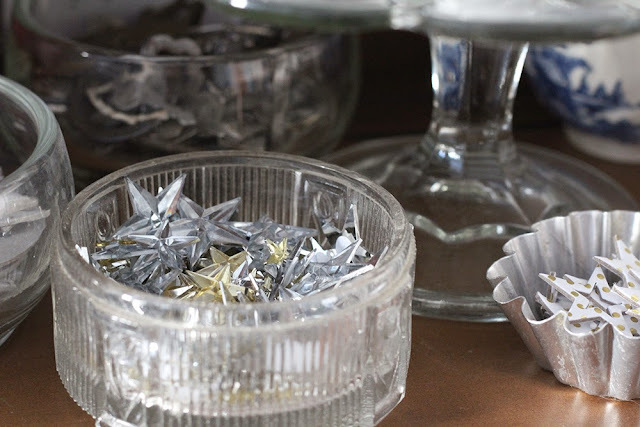 Rhinestone stars, chipboard stars, star sequins, star clips, wood veneer stars... oh, my stars! 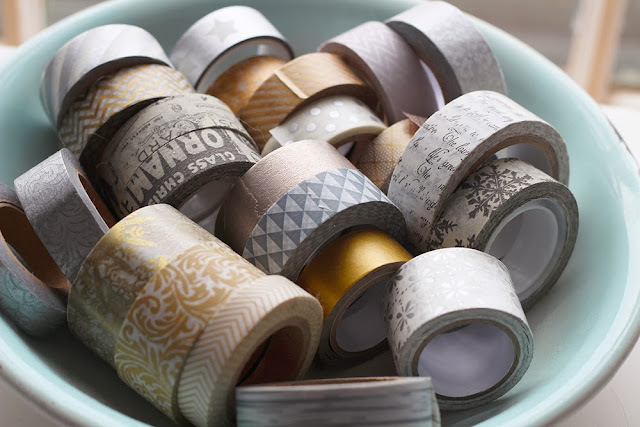 Wood tags, stringed tags, chalkboard tags, patterned tags, layered tags, and tags with cut outs. Envelopes of all types and pretty pockets are all stored in a vintage divided wood tray. A few extras that wouldn't fit I just left on the shelf in front of the tray. Some of my favourite washi tapes in greys, gold, and silver. Do you sort by colour? 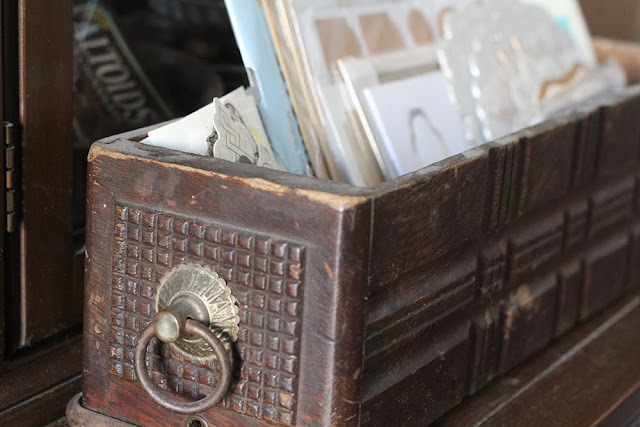 Have you tried a new organizing system lately... how is it working for you?